Millions of people travel to Dubai or UAE every year for variety of reasons. While most visit UAE for a holiday, there are several who visit to find a job in the Emirates city. Most of the visiting visas are valid for 30-90 days. However, if your purpose of visiting Dubai or UAE is not done, you need to get Dubai Visa Change before it expires. You may wonder whether you have to return to your home country to renew the visa. With Visa Run Dubai and other visa changing options, you can get your UAE visa renewed without going back to your country. If you are planning to extend your stay in Dubai, here is everything you need to know about the process of Visa Run Dubai and other visa change options. Visa Run Dubai is the most popular way of renewing UAE or Dubai Visa. For this, you have to visit a neighbour country, usually Oman, Bahrain or Kish Island. 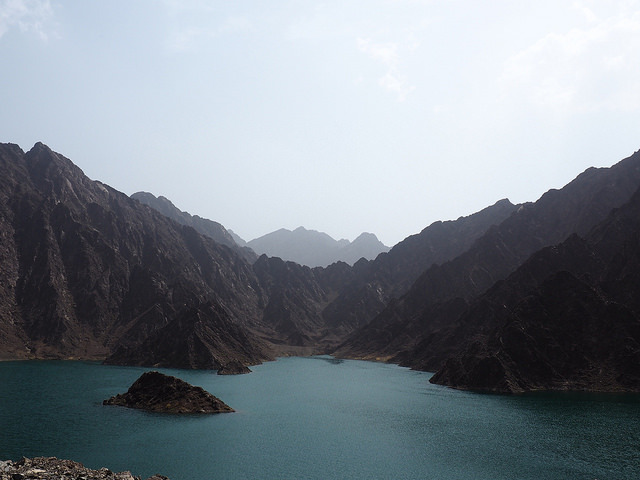 The Hatta Border crossing that leads to Oman is surely the most used path for Visa Run Dubai. If you are using this option, here is the process that you would have to follow to get your visa extended. Check the Oman Hatta Border crossing opening times before you start your journey. On the way to Oman Border, you would come across various checkpoints where you may have to show your passport. Before you reach the UAE exit, you would have to go through customs checkpoint where your vehicle will be checked and issued a customs ticket. This ticket would have to be submitted at the time of processing your passport. The next stop is the UAE border. Here, you would have to get down from your vehicle, go to the UAE immigration window where your passport would be stamped for UAE exit. This is where you would have to pay fine if you have overstayed even after your visa expired. You would have to pay an exit fee . Once this is done, you enter Oman and drive 10 km till you reach a dome shaped building to get your new UAE visa. Here, you would be stamped for Oman entry and exit. U.A.E visa agencies provide this service for stamping at very reasonable price (Prices vary this usually depends on the day) to get your visa stamped. It is important to get your vehicle customs ticket stamped before you start your journey back to UAE. Once you reach Oman-UAE border, you again need to visit the UAE immigration window to get your new visa and entry stamp. The new extended visa would be for 30 or 90 days. 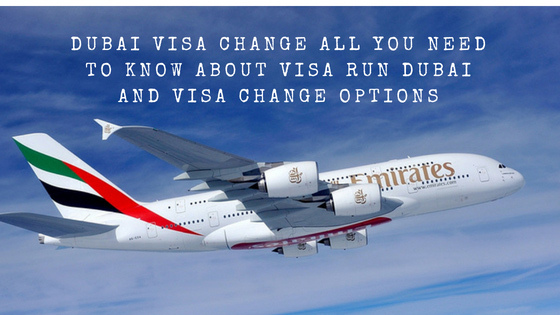 Another option for UAE or Dubai visa renewal is Airport to Airport Visa Change. This is probably the easiest way of getting your visa renewed. In this case, you fly to a neighbouring country to get your visa renewed. You can travel to Bahrain, Oman or Kuwait for this purpose. While you may have to spend 24-48 hours at the other airport for your visa renewal, in some cases, you can travel to UAE in the same flight. Depending on whether you travel from Sharjah or Dubai, there can be slight changes in the visa change process. Here is what you need to know if you choose to renew your visa through the airport to airport visa change process. You need to reach the airport (both Dubai International Airport and Sharjah International Airport) at least three hours before the flight. You need to make the required payment and get your ticket stamped with ‘Visa Change’ and ‘Ok to Accept Pax’. After you get your boarding pass, you need to get the UAE Exit seal on your passport. It is extremely important to send this to your visa service provider. When you land in Bahrain or Oman from Sharjah, you have to get down the plane to complete all the necessary procedures and then take a flight back to Sharjah. Once back, you would have to wait at the airport (you can book a room at the airport hotel or wait at the waiting section) for your UAE visa approval. This would take anywhere between 24 and 48 hours. In case you are travelling to Kuwait from Sharjah, you do not need to get down from your plane. You can wait inside the plane and fly back to Sharjah. However, you need to wait at the Sharjah Airport for your visa approval. In case you are travelling from Dubai International Airport to Oman, you need to wait at the waiting section in the airport in Oman till you are notified that your UAE visa is approved. This would also take somewhere between 24-48 hours. Once this is done, you can take a flight back to Dubai. Before you exit Sharjah or Dubai Airport, you have to clear the immigration procedures and get the Entry seal on your passport. For More Information Related to Dubai Airport Immigration Visit Here. Whatever option you choose for your Dubai visa change, here are some tips that would make it easy and less stressful. It is important to carry all the documents while flying out of UAE for renewing your visa. The documents you require are passport and visa copies, documents of your guarantor (residence visa, Emirates ID, passport), passport size photo with white background, visa fee and cash deposit. If you outstay your visa validity, you would have to pay a fine for each extra day. To avoid this, apply for a visa change well in advance. Be polite and respectful while interacting with border officials. They have the power to speed-up as well as slow down your visa change process. If you are taking a rental vehicle while driving to Oman, make sure that the vehicle has car insurance. If you are opting for Visa Run Dubai, you can take the opportunity to have a short holiday in Oman which is a beautiful country with a rich history. It is best to opt for a weekday to get your visa renewed as weekends and public holidays are really crowded, thus delaying your visa approval. The process is simple and usually does not take more than a day or two. While it is possible to go for Visa Run Dubai on your own, it would be best to approach an agency that offers visa services. This would ensure that the process happens smoothly, without any glitches. Go for a reputed agency that has years of experience in Dubai Visa Change, especially if you are opting for Airport to Airport Visa Change.